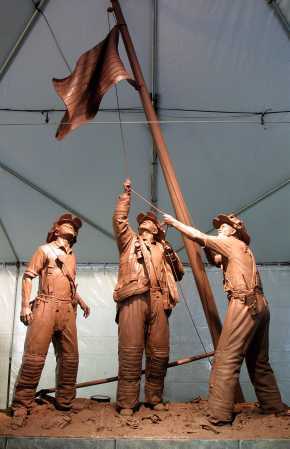 NEW YORK (AP) - A statue based on the famous photograph of the flag-raising at the World Trade Center site is being criticized because the three white firefighters in the picture have been transformed into one white, one black and one Hispanic. Some firefighters and their families say the 19-foot bronze is political correctness run amok and an attempt to rewrite history. The $180,000 sculpture is expected to be erected this spring at the Fire Department's Brooklyn headquarters in tribute to the 343 firefighters killed in the attack. 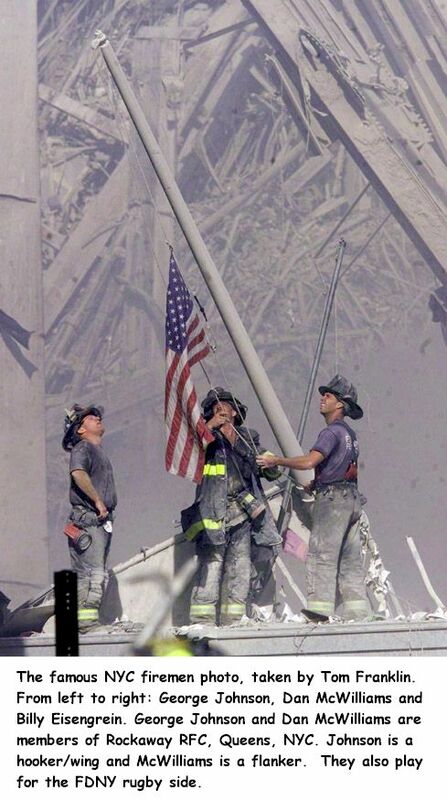 It is based on the Sept. 11 newspaper photo of firefighters raising the American flag on about 20 feet of rubble. The decision to represent different races was made by the Fire Department, the makers of the statue, and the property-management company that owns the department headquarters building and commissioned the work. ``Given that those who died were of all races and all ethnicities and that the statue was to be symbolic of those sacrifices, ultimately a decision was made to honor no one in particular, but everyone who made the supreme sacrifice,'' Fire Department spokesman Frank Gribbon said. 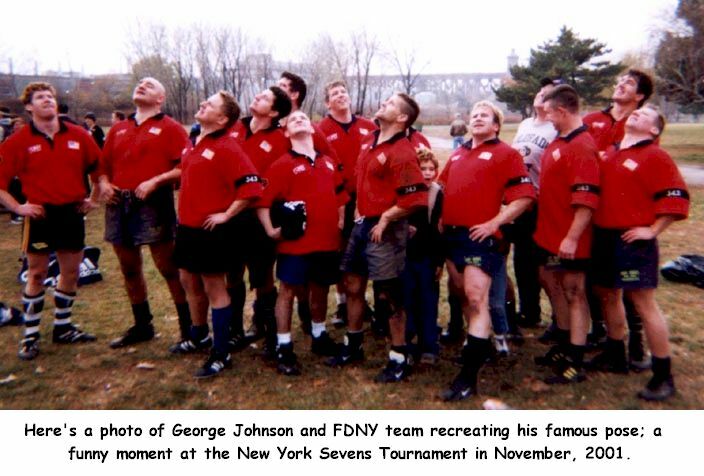 The three firefighters in the photo - Dan McWilliams, George Johnson and Billy Eisengrein - declined to comment. But their lawyer, Bill Kelly, said the men are ``disappointed because it's become something that is political as opposed to historical.'' He said he has written to the management company and the department, asking them to stop production of the statue. But Kevin James, a member of the Vulcan Society, which represents black firefighters, welcomed the design. Of the city's 11,500 firefighters, 2.7 percent are black and 3.2 percent Hispanic, Gribbon said. Twelve of the firefighters who died were black; the number of Hispanic victims was not immediately available. A clay model of the statue, created by StudioEis in Brooklyn, was unveiled on Dec. 21. Gribbon and studio director Ivan Schwartz said the statue, while based on the photo taken by Tom Franklin of The Record of Bergen County, N.J., was not meant to be an exact replica. The photo has been likened to the famous 1945 Associated Press photograph of six American fighting men raising the flag at Iwo Jima. ``We were quite shocked that the image was altered,'' said Jennifer Borg, attorney for North Jersey Media Group, which publishes The Record and holds the copyright. The Fire Department sought rights to reproduce the photo, she said, but the company did not sign any agreement. Gribbon said the department had not received any official complaints about the statue, but John Gilleeny, a retired New York City firefighter who edits an e-mail newsletter about the department, said he has gotten hundreds of e-mails protesting the decision. ``Questions about race or ethnicity played no part in the brave deeds firefighters performed on Sept. 11, and it does a disservice to the memory of the thousands lost on that day to raise such issues,'' said Bruce Ratner, president and chief executive of Forest City Ratner Cos., the management company that is paying for the statue.